BERTRAM, GEORGE HOPE, businessman and politician; b. 12 March 1847 at Fenton Barns, Scotland, son of Hugh Bertram; m. 14 Sept. 1870 Christina Murray in New Glasgow, Que., and they had three sons and two daughters; d. 20 March 1900 in Toronto. George Hope Bertram was named after George Hope, the noted Scottish agriculturist and Unitarian. After attending the parish school of Dirleton, near Fenton Barns (Hope’s holding), Bertram was apprenticed in the iron and hardware trade. 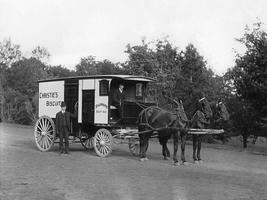 At age 18 he immigrated to Upper Canada and settled in Lindsay, where in 1868 he set up a retail hardware business, Bertram Brothers, in partnership with his elder brother John* of Peterborough, who provided financial backing. The business did well and in 1874 George bought out his brother and continued on his own until 1881, when he moved to Toronto. There, he and John, who remained in Peterborough, and another brother, Alexander, set up Bertram and Company to retail (and later wholesale) hardware and imported iron. In 1887 John moved to Toronto and took a greater interest in the firm; Alexander left to work with John in another venture. Bertram and Company prospered and at about the end of 1892 George and John decided to buy up the financially troubled Doty Engine Works Limited. In this business the Bertrams began to manufacture all types of machinery, especially engines, boilers, and steel boats and ships, and carried on a general foundry business. Though the brothers were equal partners, John devoted most of his energies to the lumber trade. George largely ran Bertram and Company and the Bertram Engine Works, which was incorporated in 1894 as the Bertram Engine Works Company Limited with provision to offer stock. 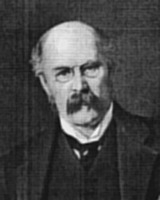 Early shareholders included Toronto businessmen William Mellis Christie, Edmund Boyd Osler*, and John Speirs Playfair. Majority control nevertheless remained in the hands of the Bertrams, with George as president. In 1897 his son John H. and a partner took over Bertram and Company while he concentrated on expanding the engine-works into mining machinery and on emphasizing steel shipping. A sideline, the Toronto File Company, kept the two brothers directly involved in the hardware business. G. H. Bertram demonstrated his public spirit both locally and on the national level. He served on Toronto’s Board of Trade from 1884 until his death, was very active in the Unitarian Church and in the St Andrew’s Society, and gave generously to charity, particularly to Grace Hospital. During the 1890s he supported the municipal reform movement; in 1895, with others, he advocated municipal ownership of the street lighting system (as an added benefit, his engine-works was likely to win any contract for boilers and generators) and in 1895–96 he headed the campaign for streetcar service on Sundays. Like his elder brother, who had served as an mp, George was an ardent Liberal, but one with a mind of his own. As president of a pre-eminent manufacturing concern in Toronto and as a well-known party supporter, he corresponded with Wilfrid Laurier*, the Liberal prime minister from 1896, regarding the awarding of government contracts and economic policy. Prior to the election of 23 June 1896, when the Liberal leadership was casting about for a policy to replace the discredited unrestricted reciprocity [see Sir James David Edgar], Bertram asked Laurier what the course would be. Laurier used this opportunity to speak, in a published reply, against free trade and for a return to the traditional Liberal policy of a revenue tariff. After this episode a number of manufacturers in Ontario increasingly saw Bertram as a way to channel their concerns to the prime minister. Following their suggestions, for instance, on 27 June Bertram advised Laurier not to choose Sir Richard John Cartwright* as finance minister – there were better candidates, including William Stevens Fielding*. 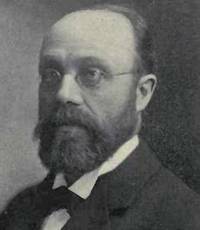 On his own, when imperial preference was being discussed in 1897, Bertram warned that it would anger the United States and he suggested a two-tiered system of duties instead. The government adopted a modified version of this proposal. 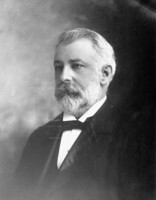 In late 1897 an arrangement was made to have William Lount resign the riding of Toronto Centre in return for the promise of a judicial position in order that Bertram could run for parliament. Assisted by various party members, especially John Stephen Willison*, the editor-in-chief of the Globe, Bertram beat Oliver Aiken Howland in the by-election on 30 November. A prominent industrialist such as Bertram was undeniably a good catch, especially since his advice was always well reasoned and carefully considered. His value was recognized when he was asked to lead off the government’s comments on the speech from the throne in 1898. Despite his faith in the Liberal party, Bertram did not always stand with it, choosing at times to support what he believed would be in the best interests of the country. His last major action in parliament, beginning in the spring of 1899, was to try to persuade the cabinet to incorporate the Canadian Inland Transportation Company, of which he was a principal, in order to create a Canadian fleet to carry grain and ore. Though he had the support of part of the caucus and of some newspapers, the cabinet balked at guaranteeing three per cent on the bonds of the company and no action was taken on the scheme. Nevertheless he continued his vigorous promotion of a Canadian fleet because he was upset that American, not Canadian, ships controlled inland shipping. He was not acting simply to benefit his own company, which was one of half a dozen Canadian companies capable of building the necessary steel ships. During the last three years of his life Bertram suffered from cancer. He managed, however, to keep up his commitments until the final six months, when he was confined to his home, from where he continued to lobby, by mail, for a Canadian inland fleet. Having provided very well for his family before his death in 1900, he left a small estate. The Bertram Engine Works Company, one of the most important manufacturing concerns in Toronto at the turn of the century, was carried on by John Bertram. ANQ-M, CE6-41, 14 sept. 1870. AO, RG 8, I-1-D, 1894, files 1631, 4952; 1900, file 503, misc. file 2894; RG 55, I-2-B, liber 35: f.32; partnership records, York County, Toronto East, no.30. Baker Library, R. G. Dun & Co. credit ledger, Canada, 23: 106 (mfm. at NA). GRO (Edinburgh), Dirleton, reg. of births and baptisms, 12 March 1847. NA, MG 26, G, 9–149. York County Surrogate Court (Toronto), no.13898 (mfm. at AO). Toronto, Board of Trade, Annual report . . . (Toronto), 1884–1901. Daily Mail and Empire, 30 Sept. 1902. Globe, 21 March 1900, 29 Nov. 1904. Toronto Daily Star, 29 Nov. 1904. Canadian directory of parl. (Johnson). Commemorative biog. record, county York. CPC, 1898–99. Toronto directory, 1881–1900. Christopher Armstrong and H. V. Nelles, The revenge of the Methodist bicycle company: Sunday streetcars and municipal reform in Toronto, 1888–1897 (Toronto, 1977). Phillip Hewett, Unitarians in Canada (Toronto, 1978), 319. O. D. Skelton, The day of Sir Wilfrid Laurier: a chronicle of our own times (Toronto, 1916). Toronto, Board of Trade, “Souvenir”. J. S. Willison, Reminiscences, political and personal (Toronto, 1919); Sir Wilfrid Laurier and the Liberal party: a political history (2v., Toronto, 1903). Ronald J. Stagg, “BERTRAM, GEORGE HOPE,” in Dictionary of Canadian Biography, vol. 12, University of Toronto/Université Laval, 2003–, accessed April 22, 2019, http://www.biographi.ca/en/bio/bertram_george_hope_12E.html.